The DS3 launched DS in 2010. PARIS -- PSA Group will pull its DS cars out of Citroen showrooms as the automaker builds a smaller, distinct sales network in an effort to revive the upscale brand's sliding sales, a senior executive said. DS sales are expected to drop for a fifth straight year before reversing the decline in 2018, DS brand chief Yves Bonnefont said. "Transitions are never comfortable," he said in an interview at the group's Paris headquarters. "We see volumes continuing to weaken in 2017." Starting in 2018, however, numbers will be boosted by the rollout of the sales network and new vehicle launches, Bonnefont said. 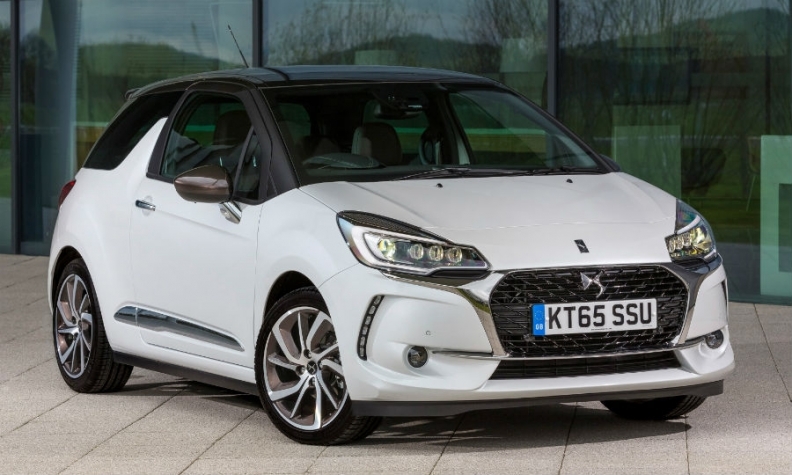 The DS3 subcompact introduced the marque as a Citroen sub-brand in 2010 -- with a nod to the 1955 DS limousine evocative of General Charles de Gaulle and Nouvelle Vague cinema -- and ushered in two years of growth from a standing start. European DS models shed the Citroen insignia in 2015. Global sales have fallen steadily from their 2012 peak of 129,000 vehicles, last year sliding a further 16 percent to 86,000. In China, where DS and Citroen cars were marketed separately from the outset, sales fell 25 percent last year to about 16,000. DS is betting on new models in the popular crossover SUV category to revive its prospects as an aspiring luxury marque, with a mid-sized SUV to be unveiled in the coming months. PSA will use another DS for its first rechargeable hybrid in 2019. In Europe, Bonnefont said, the number of DS-only showrooms will increase from 111 today to 500 by mid-2018, when the brand will disappear from Citroen's sales network of 5,000 outlets. Although many of the new DS showrooms will adjoin Citroen dealerships, they will have dedicated sales staff, distinct spaces and decor schemes. PSA is effectively betting that sales will be better through a more exclusive network, even on a much smaller scale. "When you bring the products together in an environment that offers customers a real experience of the brand, we've seen that the sales dynamic is there," Bonnefont said.